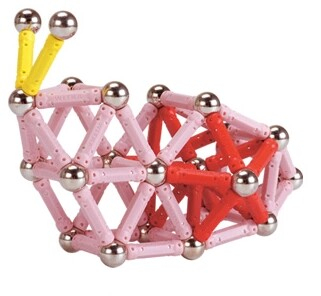 Magnetic children kids Toy - Buy Product on Universal(Ningbo) Magnetech Co.ltd. Magnetic Construction Set is a collection of magnetic sticks and metallic spheres that can be used to build structures like bridges,towers,houses,geometrical models,architectural models,chemistry models,etc.It is a fantastic toy to promote children's creativity.Unlike other brands the magnets of Universal(Ningbo) Magnetech will not fall out and endanger children. If you want to buy high quality magnetic building sets for your child or for your hobby Universal(Ningbo) Magnetech is the best choice since it is safer and has stronger magnetic force and better quality plastic sticks and balls compared to most of other brands on the market.